The invitation is out! 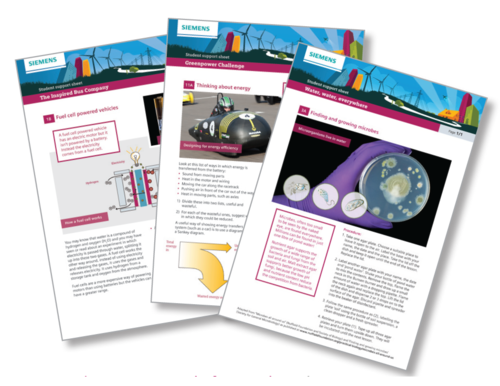 Over 1.95 million school pupils are being encouraged to blow the holiday cobwebs away and get interactive with Siemens UK. Just launched, the Siemens Education Portal is designed to inspire encourage, motivate and excite young people to engage with and be curious about Science, Technology, Engineering and Mathematics (STEM). Teachers will find a range of flexible schemes of work that include the challenges facing product designers working in the car manufacturing sector; developing sustainable water supplies in hostile environments; and using wind farms to generate energy for modern cities. Supported by a comprehensive multi-media data bank and 3D gameplay and a growing band of Siemens employee volunteers who will be on hand to support and share their experience and knowledge.